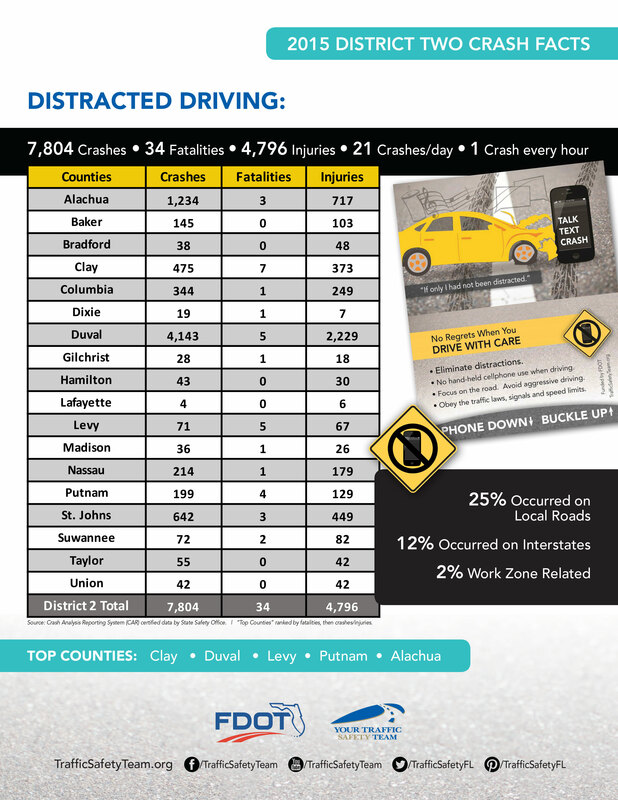 Distracted driving is a leading cause of auto accidents, injuries and deaths on our roads. 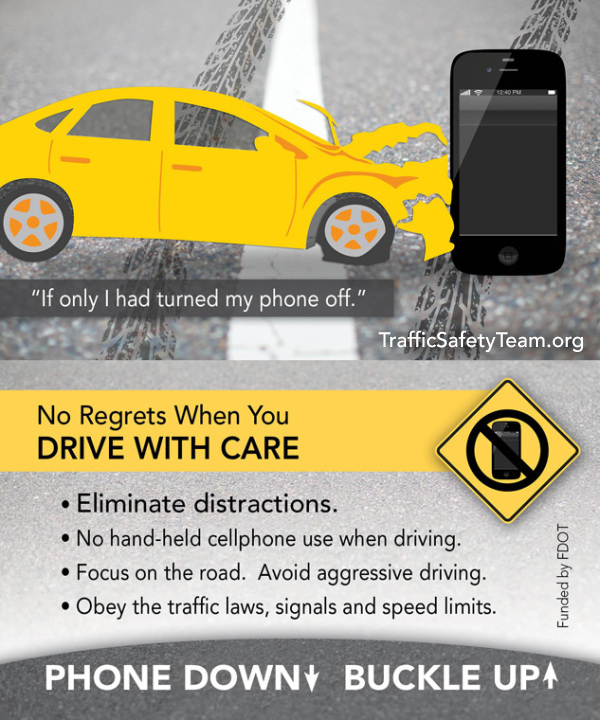 Prevent serious regrets by stopping cell phone usage when driving. 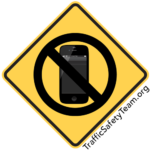 No texting. No checking emails. No logging onto any of your social media or other apps. 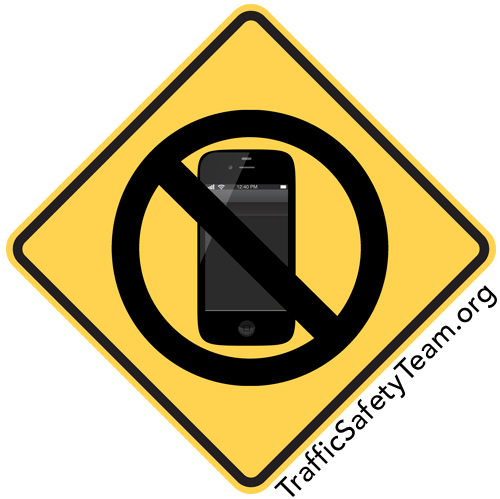 Eliminating distractions means to stop using all electronic devices not related to driving your vehicle, reducing the noise level, no eating or drinking while driving, stop all other activities and focus on road. No hand-held cellphone use when driving. 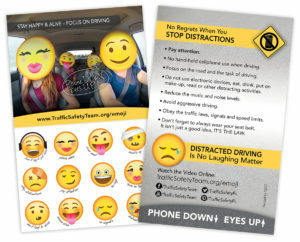 Go to trafficsafetyteam.org/emoji for a behind-the-scenes look at our “Phone Down, Eyes Up!” distracted driving emoji message. 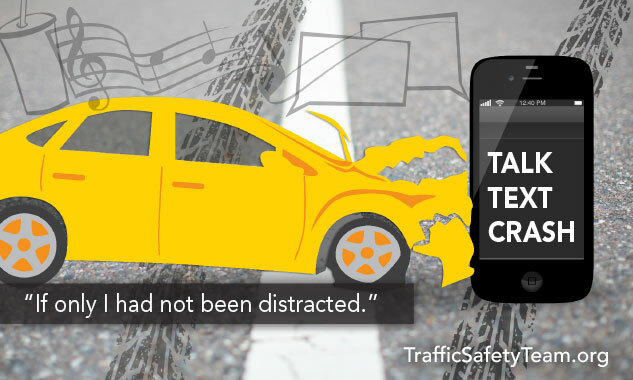 • Focus on the road and the task of driving. • Do not use electronic devices, eat, drink, put on make-up, read or other distracting activities. • Reduce the music and noise levels. 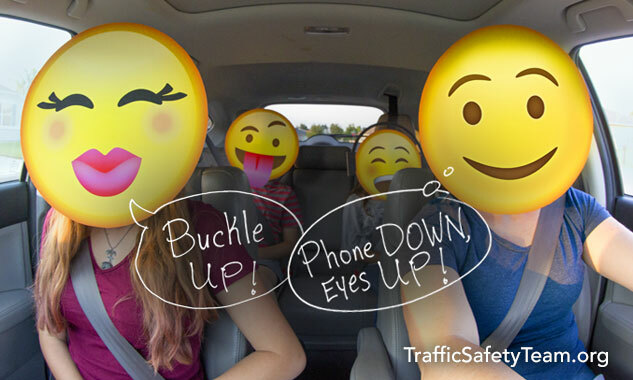 • Don’t forget to always wear your seat belt. 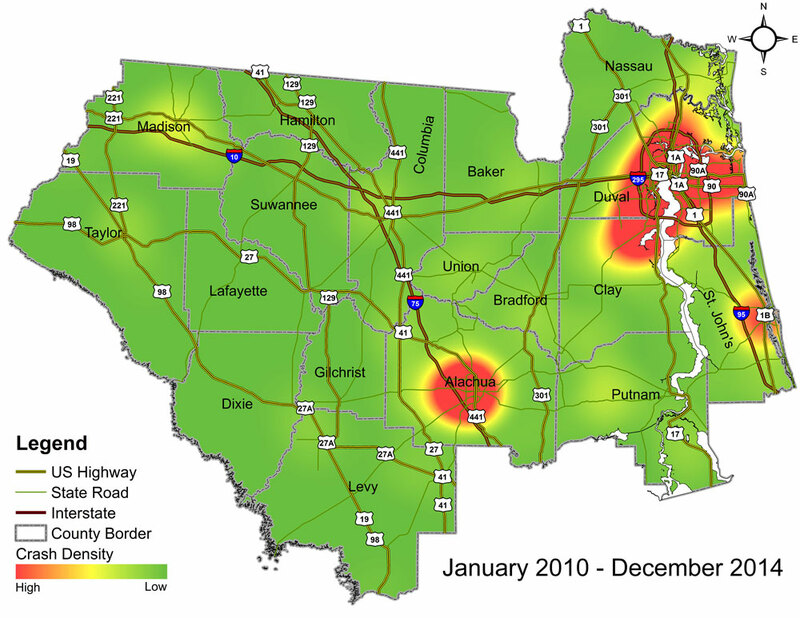 It isn’t just a good idea, it’s the law. Distracted driving occurs when drivers divert their attention away from the task of driving to focus on another activity. 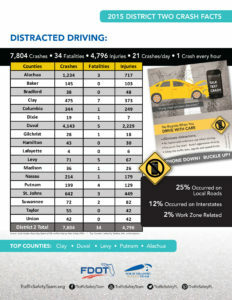 Distracting tasks can affect drivers in different ways. The three types are: manual, visual and cognitive. The Florida crash report allows officers to report driver distraction in the following categories: distracted by electronic communication devices, other electronic devices, other distraction inside the vehicle, external distraction, texting or general inattentiveness.